Personalized Boating Gifts from SSNautical.com. We have a unique collection of gifts for the boater in your life. 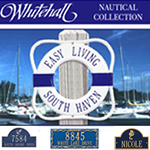 Featuring personalized address plaques; embroidered boat clothing, bags, and accessories; custom life rings; and nautical decor for your home or office. Personalized life rings are constructed with solid, closed cell foam throughout. Custom with your Boat Name, Port Name, and lettering color choice. Life Rings come in White Only. Personalized, mugs, cups, and coozies. Perfect to store on the boat or to take on trips. Makes for great gifts for those recreational boaters in your life. Our Personalized Address Plaques are handcrafted in Michigan (by Whitehall Products). Whitehall has been handcrafting personalized name and personalized address plaques for nearly 70 years. 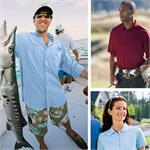 Stay stylish on the waters with SS Nautical's selection of boating shirts. 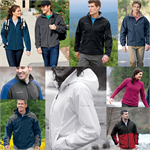 Offering such brand names like Columbia, Nike, Ogio, Port Authority, Sport Tek, and more. Keep warm on the waters with SS Nautical's selection of custom boating jackets. Offering such brand names like Columbia, Port Authority, Sport Tek, and more. Customize your boating gear bags from SSNautical.com online store. 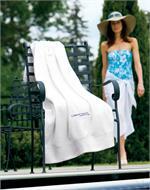 Offering matching gear bags, beach bags, duffle bags, golf bags and soft sided coolers. Boating gear makes a great gifts. 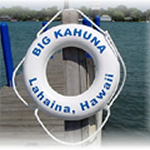 Looking for Gifts and Accessories for the boating lifestyle? Check out SS Nautical's selection. 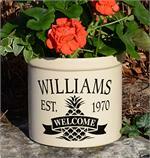 These highly durable, personalized stoneware crocks will add style and personality to any home or business. Use as a house marker or planter for your entryway, or maybe as a decorative accent to your hearth to hold kindling. 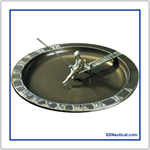 Handcrafted sundials offered by SS Nautical. Each sundial is crafted from rust-free recycled aluminum and carefully finished with weather-resistant paints to withstand any climate. 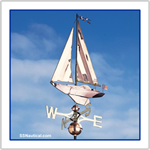 Let SSNautical.com to be your online source for Whitehall Products, the world's largest manufaturer of weathervanes. Whitehall's more than 60 years of weathervane experience assures you receive a carefully crafted and meticulously detailed weathervane. Collection of Gift Ideas for the "Man Cave". 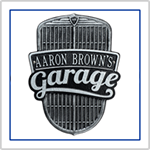 Man cave ideas for garages, bars, sheds or basements. Cast aluminum plaques for decor. Makes for excellent gifts for him. A personal touch for his area.